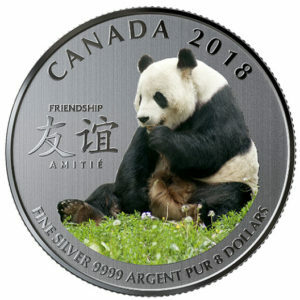 The email from Canada Mint in the morning and by afternoon – very shortly after I viewed the email – I was pressing the “Buy It” button. I didn’t use to be so into pandas, it seems. However with a friend who is quite crazy about them and I have a go-to when shopping for her or her kid, and general panda-monium (groan) when a new photo is released from the panda research center in Chengdu, it’s infectious. Further, there is a minimalism that is beautiful with panda features. And, unlike the striking coins from my previous post, at $29.95 for a face value of $8 – it’s so affordable! 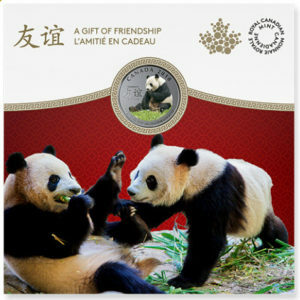 There I was bouncing between the Canadian Mint website (no GST/PST, but paying shipping of $2.99) and Canada Post (ebates! but GST of $2.10) to get the best bang for my buck, haha – so I ordered from Canada Post ultimately. Lovely keepsake coins that I have ordered in the past few years have been languishing in the store room because they each come in beautiful and bulky boxes. So I finally ordered this China-fantastic coin collecting albums from Aliexpress. Can’t wait!